Acetewagl Would "Rather a Disgruntled Customer than Dead Worker"
ActewAGL boss Michael Costello says he would rather have a disgruntled customer than a dead worker and Canberra’s construction industry risks falling prey to unrealistic deadlines and cost-cutting which directly impacts on workplace safety. 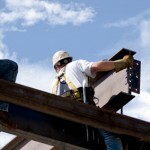 In a submission to the ACT government’s workplace safety inquiry, Actew AGL and ACTEW Corporation have both called for tender processes to be reformed to include weight given to a contractor’s workplace health and safety record, equal to that of the cost and schedule. Mr Costello said the tender process needed to reward companies which built workplace safety into their bottom line, not penalise them in a highly competitive marketplace. As head of ActewAGL, which maintains and supplies the ACT’s electricity and gas supply, Mr Costello said he was obsessed with mitigating the risk of such dangerous industries to his 900-strong workforce – 350 of whom worked in the field. In 1999 Actew lost electrical linesman Gary Waters, who was electrocuted on a Hughes substation, having spent 11 years with the company and in 2001 another ActewAGL worker fell seven metres off a ladder while connecting power to a building site in Braddon. Both incidents still resonated with company management to this day, Mr Costello said. He believed it was timely for the government to call an inquiry – due to report on Friday – not only because of the four recent workplace deaths but because safety culture needed to evolve constantly in order to prevent complacency from setting in. Since his appointment as chief executive of the part-government-owned utility in 2008, Mr Costello instigated a “root and branch” review of safety systems undertaken by Deloittes. He also hired a specialist director of Environment, Health, Safety and Quality, Dianne King – who holds a Masters of Occupational Health and Safety and has a background is in Defence. Mr Costello said he was acutely aware of the innate dangers of a workplace in electricity and gas supply – “which is both dangerous to the workers and to the community”. Mr Costello said ActewAGL was incorporating many new strategies into ongoing safety improvements which included paying cash incentives to workers who reported “near misses” so they could be analysed. He also made a point to meet personally with every worker who suffered an injury requiring them to take time off work to discuss better ways of managing risk. In the last year, three workers lost a day’s work and one lost more than five days following an injury. While Mr Costello said his preoccupation with workplace safety kept him up at night, he also believed improved safety meant better business. Commissioner Mark McCabe said ActewAGL and ACTEW Water had “relatively good safety records” and he accepted the Cotter Dam Enlargement was a huge and complex site.